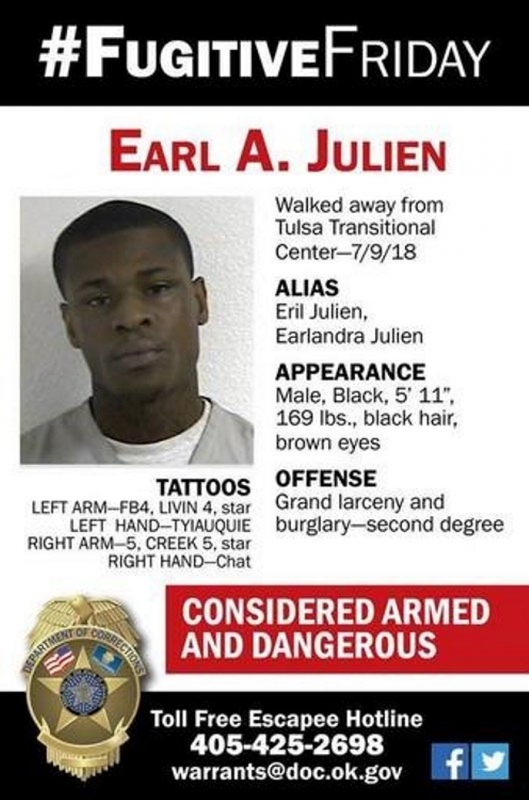 OKLAHOMA CITY -- Earl A. Julien walked away from Tulsa Transitional Center. He has been missing since July 9 and is considered armed and dangerous. Julien is black, about 5-feet 11-inch tall, and weighs approximately 169 pounds, with black hair and brown eyes. He was serving time for grand larceny and second degree burglary of Tulsa County.